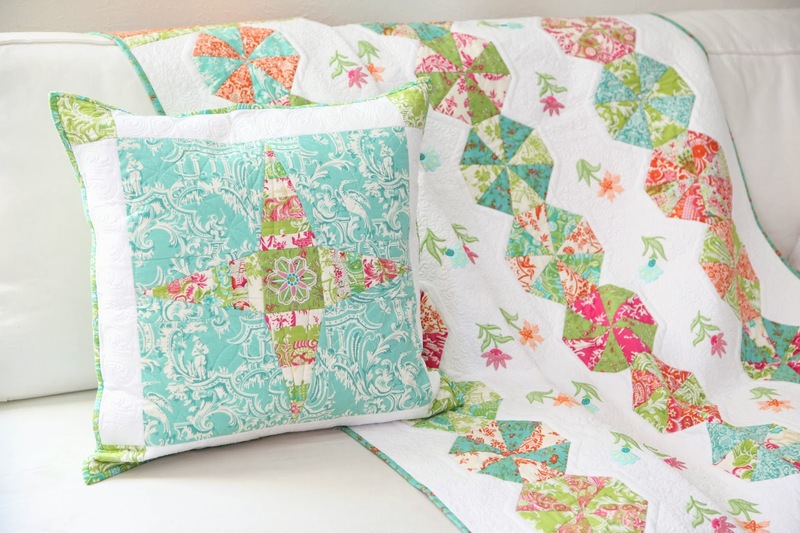 Home / Uncategorized / Elegant Embroidered Quilts launching soon and a giveaway! 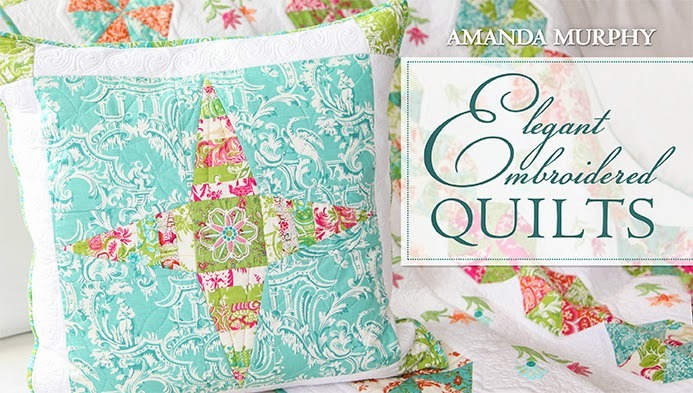 Elegant Embroidered Quilts launching soon and a giveaway! 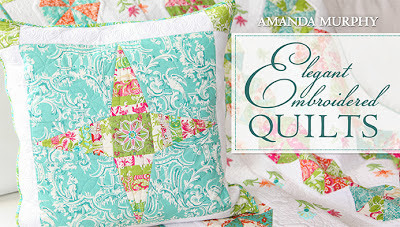 Elegant Embroidered Quilts (link coming Wednesday) was designed for intermediate sewers who want to learn to incorporate machine embroidery into their quilting and create projects that are completely unique to them. 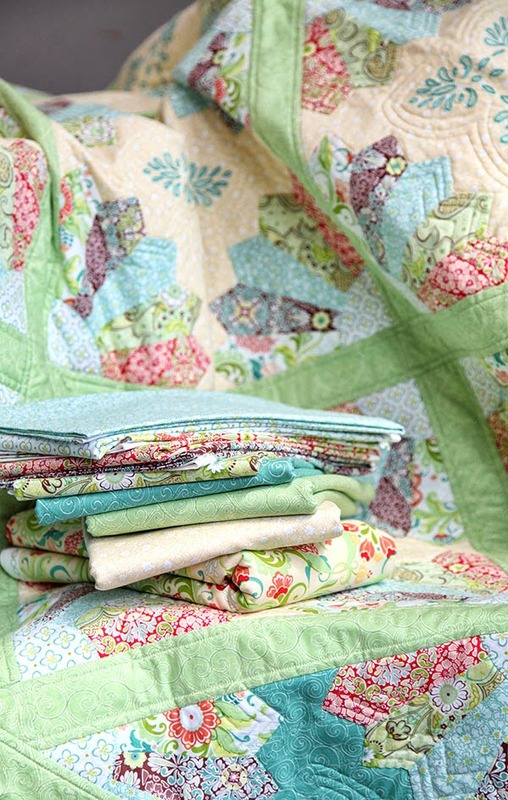 The patterns for 3 quilts, 3 smaller projects, and 5 original embroidery motifs are all included in the class. Which “sneak peek” do you like best? Leave me a comment on this post and I’ll pick a winner randomly on Wednesday and they will get a free class! I can’t wait to show you more. Previous post: Complimentary Holiday Bouquet Table Runner pattern! 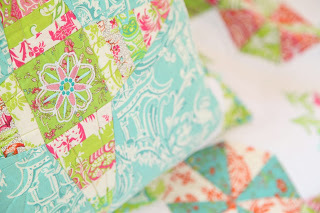 Next post: Elegant Embroidered Quilts… on Craftsy! No 4. The fabric is fabulous! I love number 4! Beautiful fabric and a design that I've never tried and would really like to. Thanks for the chance. All the sneak peeks are lovely but I like #2 best. Thanks for the great giveaway. I am choosing #2, but they are all fantastic..thank you for this chance. I like sneak peak #4. The Dresden plates and fabricslook beautiful. Thanks for a chance to win! OMG I choose number 4 this quilt takes my breath away. The fabric and free motion quilting are beautiful! All 4 quilts are awesome and it would be fun to learn how to do all four. I love number 4 the best. beautiful fabrics and design. Thank you for this chance to win. Sneek peek #4 is definitely my favorite since I love working with the Dresden pattern. Can't wait to see the entire quilt in it's entirety. It's just gorgeous, and you have such a way with colors!!!!! So hard to choose…they are all beautiful! I'll go with #4! I like all of them but I prefer #4. Ooh la la…..love love love them all. But, since we can only choose one, my pick is #4. The richness of the colors and pattern are just gorgeous. Thanks for a chance to win a free class. Definitely No. 4, but that's because I love Dresden blocks and that fabric is gorgeous. It's tough, but I think I like #1 the best. You can see the embroidery and the quilt the best. Thanks for sharing! and congratulations on the class! Sneak Peek #4 is my favorite. Sneak Peak #4, can't wait to see all that your Craftsy class offers! They are all beautiful, but my favourite is number 4. Congratulations! Thank you for the chance to win. I love them all but #4 is quite beautiful. I can hardly wait to see that quilt. Thank you for the chance to try my first class. Number 2 is my favourite! Oooo, #4 is very pretty! I like Sneak Peak #4, Amanda. Love them all but #4 is my favorite sneak peek. Thank you for sharing all of them with us. I like #4. I love seeing the pile of fabrics! I am choosing # 2. But I like them all. Can't wait till Wednesday. #4 is the one I like. Seeing all the awesome fabrics is great. #4 is my favorite, but they are all beautiful. Number 2 for me-that quilt is divine. But I am also loving the dresden! Thanks for the chance! They all look fabulous to me. But I hear #4 calling my name. It is so stunning. And I am drooling over the gorgeous fabric you used in it. Congratulations on finishing and on starting another class! You are so generous to share your talents and ideas….loving number 4 on the sneak peek list! Sneak peek #4. Dresden plate quilts are so popular right now in blogland. I love what you're doing with your fabric lines and embroidery designs. Congratulations On your class Amanda! Love all of them but number 4 really caught my eye! Can't wait for the release! Hmmm, tough choice, but I will go with sneak peek #3. 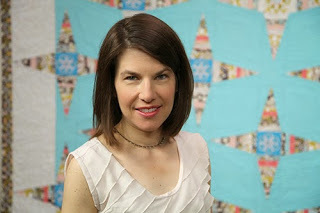 Congrats on the new Craftsy class! Congratulations on your new class! I can't really decide between 2 and 4. Love them both! I love the peek at number 4. Very interesting. #4 is the prettiest, and I'd pick that one! Also, I'd love to win a class. That would be terrific encouragement! #4 is my fav just because. I like #2 the best. I love that row of the embroidered flowers that goes up the quilt. Is the fabric in your fourth quilt out yet? IF not, let us know when it hits the stores! Looks lovely!! I like #4 the best! Thanks for the chance to win! Sneak peek 2 & 3. I need some sparkle in my life. Love the star. I love #4 – so pretty and different from what I do! thank you!! They are all beautiful, but I'm particularly drawn to #4.